Changing the World… One Team at a Time! 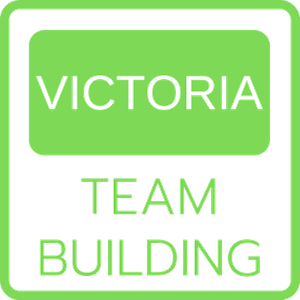 Since 1995, many of the world’s leading brands and most successful companies have embraced Team Higher Ground’s innovative corporate Team Building programs. Our fun yet effective 'Laugh, Learn & Lift' Team Building activities help lead organizations to greatness by Engaging, Energizing, and Uniting their People, Teams and Culture! Winner of the National Best Corporate Team-Building "Star Award," Team Higher Ground aims for excellence with every Team Building Event we deliver. Each Team Building Activity we offer is "client tested" to be truly world class. We believe, and our many valued clients affirm, we're the best in the business at what we love doing. Please have a look around, then contact us for an extraordinary Team Building Activity Everybody Will Love! Team Higher Ground's unique Team Building activities always lead with Laughter. We know 'Laughter is the Shortest Distance Between People!' Some clients want their Team Building event to be mostly about Laughter, about bringing people closer through fun bonding! Some trust Team Higher Ground to employ Laughter to help their people achieve lasting Learning. Either way, Laughter is an integral part of every Program we deliver! Even when you want your Team Building event to be focused mostly on Laughter, Team Higher Ground ensures lasting learning still takes place. For clients looking to drive powerful and enduring Learning from their Team Building experience, rest assured our 25 years of design experience and our world-class Facilitators combine to make it happen! You tell us how much Laughter and how much Learning and relax as we do the rest! Team Higher Ground's 'Laugh and Learn' Corporate Team Building events are designed from the outset to make a lasting positive impact on your people and teams. In fact, all our work begins with your critical desired outcomes, then we 'design backwards' to ensure we have the right program and people in place to engage your team! We work tirelessly to create Laughter and Learning that gives your people and teams a powerful Lift that lasts! Team Higher Ground is an International Team Building Company supporting its global clients from its bases in Toronto, Vancouver, Calgary, and Montreal, in Canada, and Seattle and San Francisco in America. We deliver exceptional Team Building Activities to clients in North America, South America, Europe, Asia, Australia, and Africa. 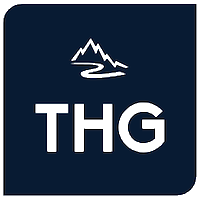 Team Higher Ground was founded in 1995 to help more people realize their true potential and experience greater fulfillment through their work lives! The result of our work is leaders and team members going to work each day more engaged and organizations more likely to thrive in today's increasingly complex and rapidly-changing climate. Team Higher Ground has an outstanding track record of working with leaders and teams in many of the world’s most successful organizations. Breakthrough performance and outstanding results are what our clients seek us out for. We achieve results through inspirational 'Laugh, Learn, and Lift' Team Building activities, targeted Adventure-Based Learning programs, and dynamic Business Transformation processes. Team Higher Ground works to develop leaders and teams and to remove the barriers that cause the ‘normal’ dysfunction so prevalent in corporate life today. Our team building programs and processes integrate with yours ensuring an inescapable collective focus on overcoming business challenges and achieving the desired results! Thank You for Connecting with Team Higher Ground! 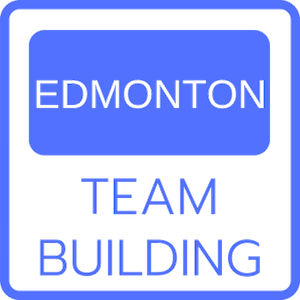 ’Laugh, Learn & Lift’ Team Building Experts!